Day 8 of the 12 Days of Christmas Movies that have fun special fx. 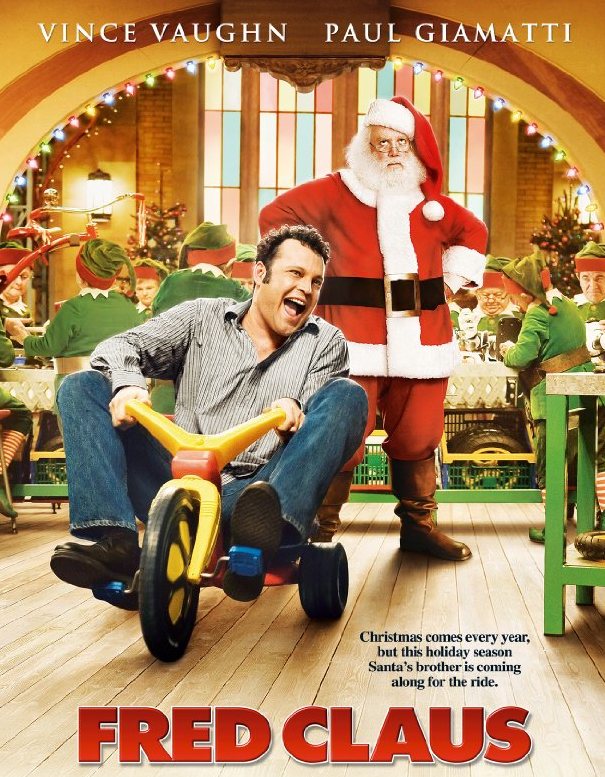 Todays pic is the movie Fred Claus, starring Vince Vaughn and Paul Giamatti. Who knew Santa had a brother? Talk about sibling rivalry. I like pretty much anything with Vince Vaughn (especially where Vaughn gets beat up by ninja elves) and while this movie won’t win any big awards, I found it entertaining. Synopsis: Santa’s bitter older brother, is forced to move to the North Pole. The makeup department on list for this movie is a mile long. What with all the elf ears, reindeer and whatnot, I am sure there was plenty to do. Here is a list, from IMDB, (I pilfered the synopsis from there as well) of makeup/special fx artist whose work made Fred Claus so fun to watch.